WASHINGTON, Feb. 8 (Xinhua) -- The United States space agency NASA's lunar orbiter has observed the landing site of China's Chang'e-4 lunar probe for the second time and in a higher definition. 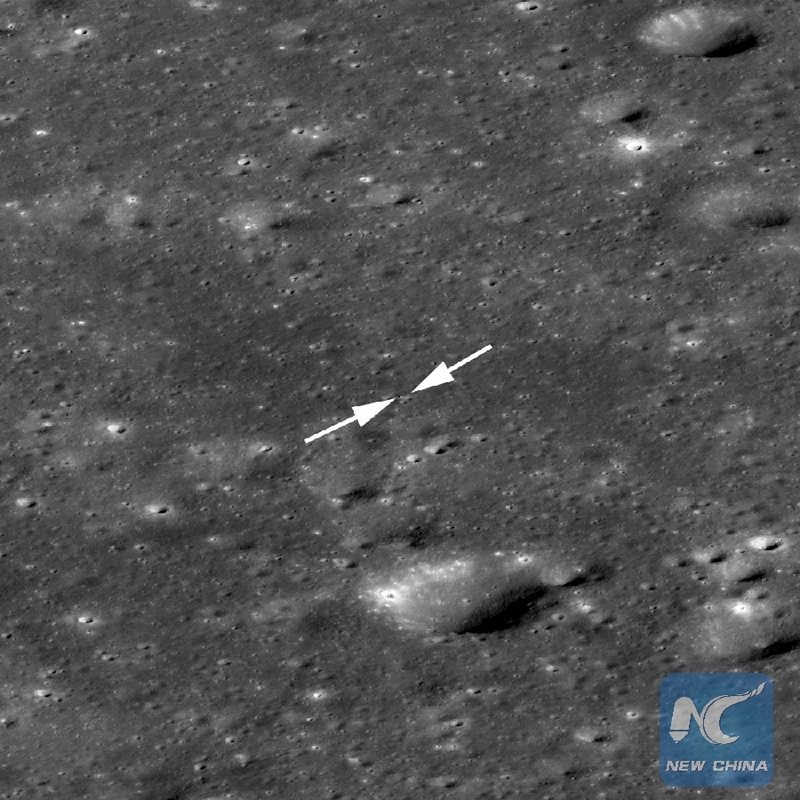 NASA announced Friday that its Lunar Reconnaissance Orbiter (LRO) acquired a new shot on Chang'e-4 landing site the day after it did so on Jan. 30. This time, LRO, a NASA spacecraft orbiting the Moon, moved closer to the floor of Von Karman crater and tilted to capture the Yutu-2 rover in two pixels just north of the lander, according to NASA. The rover was not discernible and the Chang'e-4 lander was only a few pixels across in its first shot. Chang'e-4 probe comprises a lander and a rover, and the rover is smaller than the lander. In the picture released by LRO's scientific team from Arizona University on Friday, Chang'e-4 lander and rover nestled among craters on the floor of Von Karman crater. Even shadows cast by the lander and rover are visible. Chang'e-4 probe, launched on Dec. 8 in 2018, landed on the Von Karman Crater in the South Pole-Aitken Basin on the far side of the moon on Jan. 3. NASA released its first look of China's Chang'e-4 Lunar Landing Site on Wednesday.